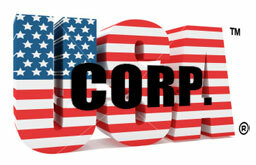 The UNITED STATES is a corporation! The following is a compilation of work by Judge Dale, retired, attorney/author Melvin Stamper, and AntiCorruption Society researchers. AntiCorruption Society additions have been inserted as bracketed text. A corporation is a fictional character or entity in law, created by the government, which makes that fictional character or entity the intellectual property of the government but you are never told that! Corporations can own any number of other corporations but can never own a flesh and blood human being! All laws created under this parent corporation will essentially become corporate laws and regulations to govern the parent corporation and all subordinate or sub-corporations owned by the parent. These corporate laws and regulations are called statutes and their affect and control over human beings is deceptively obtained by consent through civil contracts. Look up the word ‘person’ in any modern law dictionary and you will see that a person is regarded as a corporation and not a flesh and blood human being. These civil contracts were secured by and through several federal and state voluntary registration programs designed to convert and enslave flesh and blood American citizens of the Republic into corporate property. These registration programs always involved government benefits as an inducement. However, nothing is for free and when the state and federal governments offer anything for free, you can bet that upon your acceptance there are ropes and chains about to be attached to your neck, hands and ankles! Legally, these civil contracts lacked “mutuality,” meaning that all registrants must understand the true nature and intent of the contract and subsequently must knowingly accept or consent to the terms of those contracts. The government’s subversive tactics perverts “mutuality” and lawfully eliminates any and all contractual relationships, as historically established by the International Law of Contracts a/k/a Uniform Commercial Code. The federal government, the B.A.R, and the courts rely upon the Maxim that: “Ignorance of the Law is no excuse,” which is capable of being thrown back in their deceptive faces through literacy, which is what this exposé is attempting to provide to you! When a person is arrested or sued for a statutory regulation, also known as a criminal or civil law, he is actually being accused of violating a corporate regulation or corporate breach of contract! A civil contract that only exists over human beings by deception and fraud! There are no criminal laws in America. Rule 1 of the Federal Rules of Procedure (F.C.R.P.) use to specify this very fact. (e.g.) ‘All laws are civil,’ which was later modified by the Judiciary Act to conceal this fact by creating one set of Civil Rules (F.C.R.P.) and one set of Criminal Rules (F.Cr.R.P.) but this never changed the fact that there are no criminal laws in America. The Judiciary Act was necessary, once common people began to represent themselves in court and uncover this and other frauds. These Rules of Procedure and Rules of Court were originally designed and adopted to reduce confusion in the courts and were intended only for lawyers; however this is not to say that the courts will not try to enforce them against non-lawyers! And by the way, there is no legislation which prohibits a common man to practice law without a license! Neither Lincoln nor Clarence Darrow ever attended law school; neither was licensed and each became a famous lawyer. Today, each Judge representing a Court of Record is a lawyer and a member of the American B.A.R. Association Union, and all these Union Judges have conspired to write a Local Rule of Procedure, prohibiting non-lawyers from the practice of law without a license! This practice protected their treason, insured work for the Union membership [B.A.R. lawyers] and is openly in violation of Federal Anti-Trust Laws! Anti-Trust Laws were intended to prevent large monopolies from forming because such monopolies can control prices, eliminate competition and violates free enterprise, which is exactly what the B.A.R. and this Local Rule of Court intended to accomplish! Those Anti-Trust Laws have been modified so many times by B.A.R. Congressmen that they now almost assist in the creation of large monopolies. The federal and state governments are not real. They are privately owned corporations called governments. The Judges are privately employed administrators called Judges and the law is nothing more than their corporate regulations called Statutes. The courthouses are no longer public buildings but are privately owned structures called Judicial Centers or a Department of Justice and the prisons are privately owned facilities that do not mention the City or County anywhere in their names. The public defenders, prosecutors and police are not there to protect and serve the public but to the contrary, they are there to protect and serve the private corporation. The Vatican, Judges, Prosecutor and Clerk make money off of your conviction and the private owners of the prison make money off of your incarceration. Everything you sign with a wet ink signature becomes a negotiable instrument in their world and is converted into a guaranteed asset, like a security or bond because you are a real flesh and blood living person! Many Judges and law firms own the government buildings and the prisons. Your presence in a prison also fuels a Mutual Fund investment. In their world, everything is fictional and therefore your living status creates substance for their world both physically and in writing! Who pays for the bulk of these convictions? Remember those Land Trusts in the name of the Vatican [Cesta Que Vie]? The Prosecutor levels (files) a charge against you and the Trust, with the Clerk. The Clerk documents the case and appoints a judge as the Administrator for the Trust. You are brought before them and asked if you are the named person on the indictment and then they promptly advise you of your rights and the charge. It is your Birth Certificate that is actually on trial and being prosecuted, but you don’t know that and your court appointed lawyer or privately hired lawyer, never tell you! Upon your conviction, and you will be convicted, the Land Trust pays damages to all involved except you; because you are not real! The living you is the beneficiary of the Trust and the corporate you is on trial! They consider that those Trusts are for them, if they can access it! You never receive the benefits of the Trust and you are sentenced to prison, probation and or fined! Rebellious or free thinking individuals are usually ostracized, censored, punished or stone walled at every turn because they refuse to accept the propaganda and slave driving techniques being forced upon them by their private corporate owners called the high contracting powers! You probably identify with this corporate process as legal process but it really isn’t about what is legal or lawful because all process is about the enforcement of contracts or the imposition and enforcement of corporate regulations called statutes. NOTE: Historically, the World Court was created to provide nations with a venue to enforce their Trade Agreements but the Corporate United States refused the court’s invitation to participate because they were denied control over the court. All of the other American courts are pseudo courts or fictions and simply are corporate administrative offices designed to resemble courts and all of their Judges are simply executive administrators designed to resemble Judges. The purpose of these pseudo corporate courts are only to settle contract disputes and since George Washington’s government was military in structure, if either party refuses to participate, these Courts cannot become involved and the dispute is dead in the water! My use of the term “dead in the water” is not a canard because these pseudo courts are unconstitutional courts of Admiralty, the International Law of the Sea! The Washington Monument was completed in 1884 [13 years after the Act of 1871 which established the new UNITED STATES corporation], as a tribute to George Washington and his military government, which is actually a sea-level obelisk that infers that all of America is “under water” and thus subject to the Laws of Admiralty as opposed or contrary to the intended Constitutional civilian government under Common Law. The pseudo Judges of these pseudo Courts have no powers without the consent of both the Plaintiff and the Defendant. [AND] In every case the Judge must determine that he has consent; Personam and Subject Matter Jurisdiction before he can act or access the Cesta Que Trust. Repeat: In every case the Judge must determine that he has consent; Personam and Subject Matter Jurisdiciton before he can act or access the Cesta Que Trust. All tradable securities must be assigned a CUSIP NUMBER before it can be offered to investors. Birth Certificates and Social Security Applications are converted into government securities; assigned a CUSIP NUMBER; grouped into lots and then are marketed as a Mutual Fund Investment. [Evidence of this can be located in a CRIS Report.] Upon maturity, the profits are moved into a government Cesta Que Trust and if you are still alive, the certified documents are reinvested. It is the funds contained in this Cesta Que Trust that the Judge, Clerk and County Prosecutor are really after or interested in! . . . The Federal Reserve system is responsible for the management of those Investments. The best advice you will ever receive is: to avoid their courts whenever possible. There is no justice to be found in those courts unless you are a member of the Vatican, the royal or elite, or have purchased diplomatic immunity!